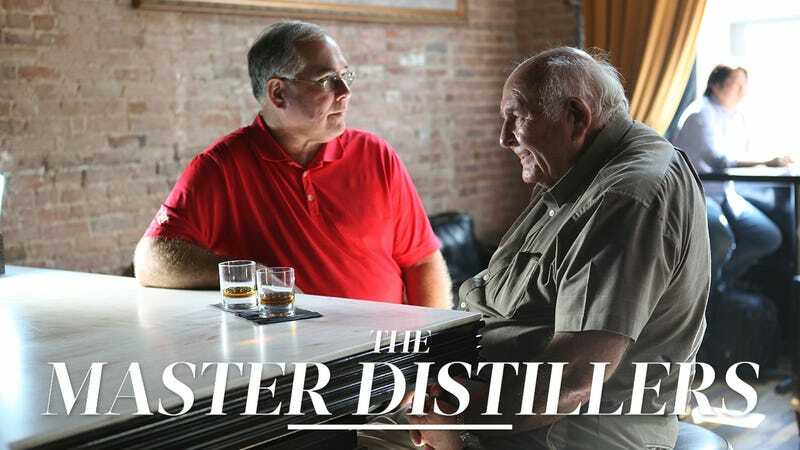 Bourbon has come a long way in the public consciousness in the six decades since Jimmy Russell’s first day on the job at the Wild Turkey Distilling Co., in Lawrenceburg, Kentucky. And Jimmy and son Eddie Russell, both now Master Distillers at the venerable bourbon institution, have a come a long way, too. This series, sponsored by Wild Turkey, will profile the #Nevertamed people of the world: artists, adventurers, and entrepreneurs with an unrelenting passion for and commitment to what they do who never cut corners or sacrifice quality or vision. It’s this #Nevertamed spirit — fueled by tradition — that goes into every barrel of Wild Turkey. When Jimmy started in the Quality Control department, on Sept. 10, 1954, Wild Turkey was a much smaller company. “We were making about 70 barrels a day. In the bourbon industry in Kentucky, it was mostly all little family-owned distilleries,” Jimmy says. Over the years, though, things have changed. “The big thing is, you’re not doing all different jobs now,” Jimmy says. “You’re making sure that the product meets your standards, tasting all the products and making sure everything meets the standards of Wild Turkey.” Equipment has also been updated: Tasks that used to be done by hand, like opening and closing certain valves, are now performed by computers. One thing that hasn’t changed is the essential flavor profile of Wild Turkey — which wasn’t always easy to hold the line on back in the 1960s and ‘70s. As lighter spirits became more popular, darker spirits began to fall out of favor. As such, there was a great deal of pressure on bourbon distillers to change their formulas to match trending tastes. Wild Turkey, motivated by both Jimmy and later Eddie (when he joined the company in 1981), refused to bend to those pressures. For a while things looked dire, which is not uncommon for anyone who stands firm on principles. But when the winds changed direction again in the 2000s, with the renewed cultural interest in mixology, craft cocktails, and authentic, full-flavored spirits, Wild Turkey was perfectly positioned to reap the benefits. Eddie continues: “But what this new generation is looking at is, ‘What did my great-grandfather do? What was going on back in the old days?’” Of course, it helps that the man ultimately responsible for Wild Turkey — Jimmy — is old enough to be your grandfather, and to have experienced those days first-hand. When Jimmy started traveling around the world, promoting bourbon and Wild Turkey to audiences that may not have been familiar with the spirit, those same new-style bartenders confided to Jimmy that they drank Wild Turkey together after closing time. Soon, of course, people became interested in drinking what those selfsame bartenders were drinking, on or off the clock, and classic cocktails like the Old-Fashioned and the Manhattan — perfect vehicles for Wild Turkey’s big and bold flavor profile — came back into vogue. “People want a bourbon that stands up in a drink,” Eddie says. This post is a sponsored collaboration between Wild Turkey and Studio@Gawker.